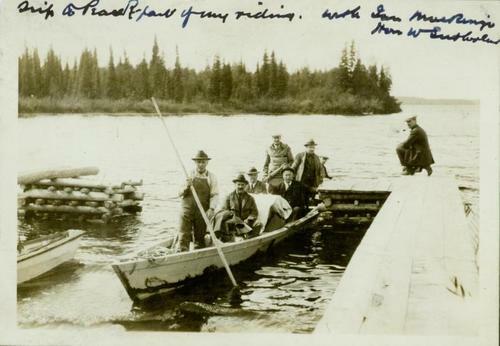 Handwritten annotation on recto: "Trip to Peace River - riding with [MLA] Ian Mackenzie, Hon. W. Sutherland". Photo depicts a row boat being poled against the dock while six men, including H. Perry wait to disembark.